Cerebral Palsy refers to a group of non-progressive motor conditions that can lead to physical disability in terms of body movement and development. When the motor control centers of an infant’s brain are damaged during pregnancy, during childbirth or after the baby is born, cerebral palsy can result. In some cases, while there will be no identifiable cause that led to cerebral palsy, in other cases medical malpractice will be the contributing factor. Some of the typical causes include; asphyxiate before birth, birth trauma during labor and delivery, and lack of oxygen to the brain during the labor and delivery process. If you believe that your child has developed cerebral palsy as a result of a doctor’s negligence or malpractice, you need to consult with a Baltimore medical malpractice attorney immediately. This may be the only way to help recover compensation for your child’s injuries. Given that cerebral palsy can lead to lifelong complications and extensive treatments and costly medical bills, it is essential to reach out to an attorney sooner rather than later to identify the appropriate course of action. 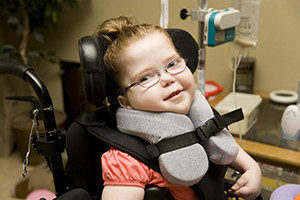 Since cerebral palsy is severe, get help immediately.